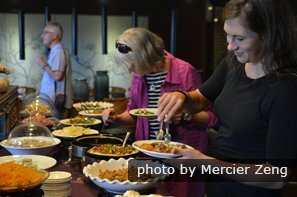 A lot of people all over the world like to eat Chinese food, but Chinese medicinal cuisine is a special type — an ancient healing art you can explore. It is a kind of traditional Chinese medicine. 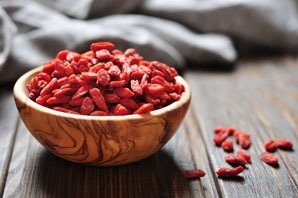 If you are interested in exploring traditional Chinese medicinal food for better health, here is the background, general principals, and some recipes. 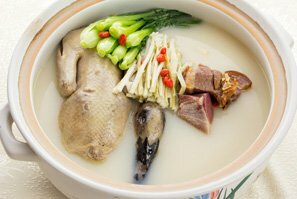 Authentic Chinese medicinal food dishes are prepared according to traditional recipes and techniques, based on ancient ideas about how the human body operates. They described the effect of each kind of meat, grain, herb, or vegetable on the human body, how the body operates, and gave suggestions about what to prepare to stay healthy or cure disease. The earliest work on these various topics dates from the early Han Dynasty era (206 BC-220 AD) and is called the Huangdi Neijing (The Yellow Emperor&apos;s Classic of Internal Medicine). It contains the basic ideas of Chinese food therapy. The text gave recommendations on what to eat for different health conditions and different environmental conditions. Ancient Chinese medical books list hundreds of plant, animal, and chemical ingredients and tell their specific effects on the human body. 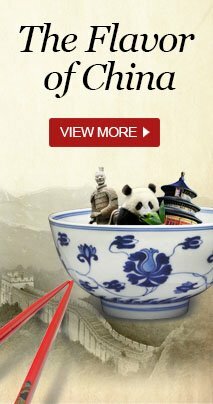 These books give ideas about the physical principals involved in human health, and they describe how herbs or special foods help, along with TCM techniques such as moxibustion and acupuncture. Since that time, the basic ideas about food and health have changed little. See more on The History of Chinese Medicine. The basic idea is to balance the qi and the body fluids — the fundamentals of Chinese traditional medicine. It is thought that a healthy body or organ has a proper balance of these things. When they are out of balance, there is disease or sickness. The environment or physical injury disrupts the balance. For example, cold weather causes a lack of qi or high yin in the body. So high yang foods are eaten. In hot weather when there is naturally too much yang, high yin foods are eaten. Recipes for each season are described below. Healing herbs or animal parts can be added to the diet to heal disease. Many of the same herbs are used by Western herbalists and herbalists in other parts of the world for the same conditions, so this strongly suggests that the herbs have real medicinal effects. See more on The Top 10 Most Common Herbs and Spices Used to Flavor Chinese Food. All foods are categorized by qi temperature, ranging from high yang to high yin, and one of the five food flavors (sour, sweet, bitter, hot and salty). A food item’s qi temperature and specific flavor influences the body in its own way. It is thought that people should generally include all the flavors in every meal and balance the "heat". Most Chinese people think that if too much of one type of food is consumed, it can cause an imbalance in the body. The way you eat also matters. Eating slowly is believed to benefit your health. The ancient texts described not only what to prepare for meals, but also how to eat meals. You might be surprised at these Chinese customs about eating meals that have been part of the culture for hundreds of years. Try to avoid overly processed food. Eat naturally. Eat seasonal vegetables and fruits. Always make sure the vegetables are cooked. Sit down to eat at a quiet place. Pay attention to your eating, and get away from distractions. In TCM your mind plays a part in how well you digest food, so pay attention to the tastes of the food. After lunch, take a nap or rest for a while. It is interesting that the Chinese believe that eating seasonal food is generally best. For example, in summer yin foods like melons and cucumber are available, and in winter high yang foods like garlic and onions are available for consumption as well as easily stored red pepper and other high yang herbs. It is as if nature produces the right healing foods for each season for people. Applications: During cold and flu season in the late fall and winter, Chinese would refrain from eating melons, especially if they had a cold. If Chinese get sunstroke (from hot Chinese summer days) they avoid garlic and onions. So, according to the tradition, here are recipes for some seasonal medicinal foods. Just like Westerners, Chinese people like to drink lots of hot soup on cold winter days. But their idea is to make soups with high yang vegetables and herbs, and include meat to balance the dish. A favorite winter soup, just like in the West, is chicken soup. Take chicken portions and boil them together with two chopped potatoes, or half a white Chinese turnip, and 1 tablespoon of ginger. When the potato and chicken pieces are somewhat cooked, add diced vegetables and spices. The diced vegetables should include three diced cloves of garlic and one chopped onion, since these are essential for adding yang. You can also include a cup of carrots, a cup of mushrooms, a cup of zucchini or bok choy, or other similar vegetables. Seasonings: To the mix, add a teaspoon of sea salt, and, if you wish, additional herbs, such as several thin-sliced pieces of milk vetch root or pinches of turmeric. If you like red pepper, add that for a zang! In the spring, things come alive and start growing. It is important for living things to have more than usual yang for growth. It is thought that the liver and gallbladder are especially important at this time. It is important to eat the green seasonal vegetables that sprout out at these times since they supply the necessary yang and help to nourish the liver. “Green is the color of the liver and of spring” is a saying. And drink fresh sour juices, since these stimulate the qi. It is also thought to be a time when the body does “spring cleaning” on itself by getting rid of stored fats and meat, so eating less meat and fat is considered to be better for health. Here is a light and easy-to-make vegetarian dish and drink that is a good example of a medicinal springtime meal. Wash a bunch of asparagus and a carrot in clean water without detergent. Then chop up the vegetables and lightly steam them until the asparagus is slightly tender and bright green. Note that the vegetables cook quickly so don’t steam them long. Prepare a dressing by simply adding about two parts of virgin olive oil to one part of plum vinegar or apple cider vinegar. Plum vinegar is preferred, because it is a springtime fruit. Then pour the dressing on the vegetables and enjoy the dish with some lemonade. To make the lemonade, simply squeeze a fresh lemon and add the juice to clean water. Here is a favorite dish for summer when the yang is naturally high, and you need to cool down a bit. Tomato and cucumber are high yin vegetables that are readily available. Try to find fresh and ripe ingredients. Dice some red onion (or if unavailable a regular onion) and chop up tomatoes and cucumbers. Mix up the ingredients with virgin olive oil, and add some dill, salt, and pepper to taste. It is simple to make and great for hot summer days. In the autumn, life naturally ebbs away, and it is thought that the qi returns to the earth. In TCM, the qi goes inwards into the body’s core. Eating the vegetables and fruits that are available at these times helps your body to transition and stay healthy. Here is a recipe for butternut squash soup, but pumpkin or other kinds of squash can be substituted. Ingredients: Take a large butternut squash or an equivalently-sized pumpkin or other squash, a medium onion, two cloves of garlic, a stalk of celery, a large carrot, some boiled chicken meat, and salt, pepper, cinnamon, and nutmeg to taste. Chop up and dice everything, and first boil the squash in water in a large pot. Then when the squash is almost cooked, add the rest of the vegetables and the already cooked chicken chunks, and simmer the soup for a few minutes. Then when the soup is done and cooled a little, add in the spice and mix it well. You’ll have a pot of delicious chunky chicken and vegetable soup. But if you have a blender available, you can blend the soup in a blender if you want to until the soup is smooth. Then reheat the soup if you want. Chinese food is famous for its great variety. 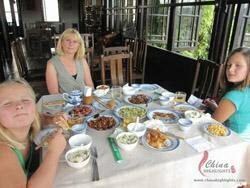 Travel with us and savor local Chinese food. 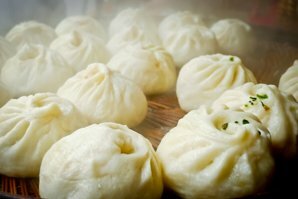 Want to explore China&apos;s brilliant cuisine culture? 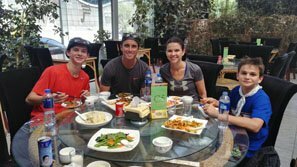 Our food tours offer an opportunity to eat China&apos;s local specialties while visiting China&apos;s top attractions. You can also contact us for an itinerary and quote tailor-made to your requirements.